The PMD 5 Pack Recovery Mask is a powerful sheet mask that has been specially developed for after using the Personal Microderm unit to replenish moisture levels and perk up dull, dry skin. 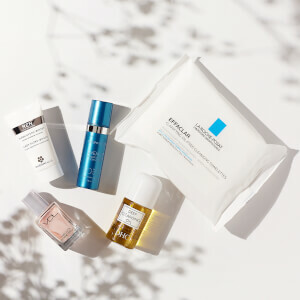 Offering a unique delivery system to create a protective barrier, the face mask has been saturated with a nourishing blend of Hyaluronic Acid and Acetyl Tetrapeptide, which work in tandem to boost hydration and elasticity while helping to enhance skin’s natural tolerance level and reduce overall sensitivity. The addition of Collagen seeks to smooth the appearance of wrinkles and fine lines, with antioxidant-rich Olive Oil neutralising free radical damage and helping to prevent visible signs of premature ageing. Suitable for all skin types, the complexion is left feeling instantly revitalised and lifted with a healthy looking glow.